Living in Southern California has its benefits. One of them being, there are so many places to enjoy "staycations" just by driving a couple of hours (more or less) in whatever direction. This time, we went out towards to Long Beach. 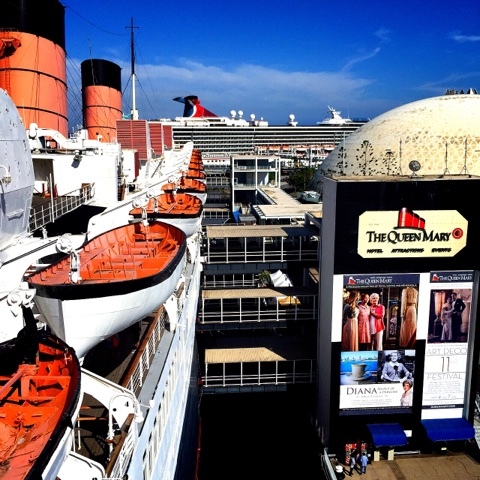 We were there for a celebration aboard The RMS Queen Mary, a retired passenger ship moored at the port of Long Beach. 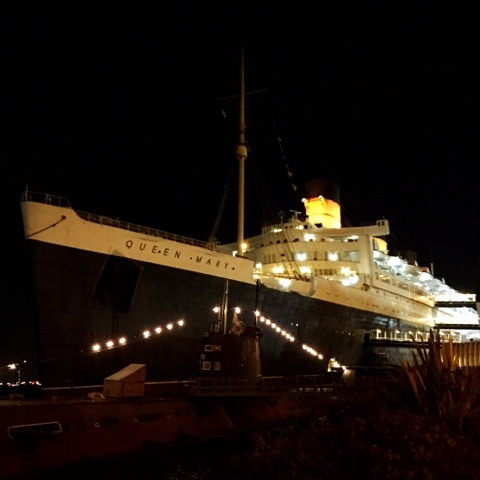 The Queen Mary now serves as one of the most visited tourist spots in the Los Angeles area; a wedding location, endless event space, several restaurants, tours (the haunted tours are the best!) and of course a hotel. Since we were going to be out there for dinner, we decided to stay overnight aboard the ship; I'm such a history geek, I was giddy all week. 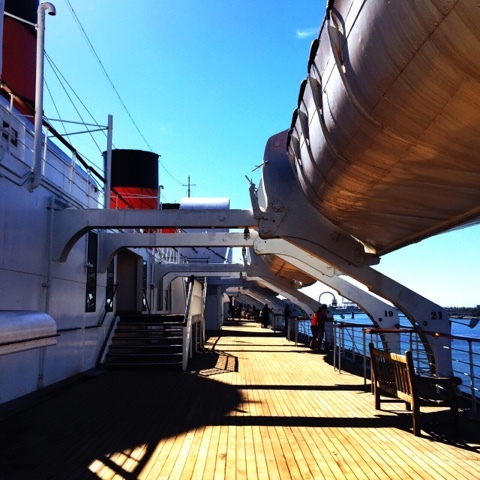 One thing I love about The Queen Mary is the freedom to explore most of the ship. The exhibits are well curated and they've done a wonderful job maintaining most of what was original about the ship. This wasn't my first time aboard but we kept finding areas we never knew existed! It's kind of an educational maze, which as a nerd of course I love. We saw a couple of weddings going on, couples, groups, families with children of all ages - it really is an enjoyable place for anyone and everyone. There are a few restaurants aboard but my favorite is the Sir Winston's Restaurant, a five star dining experience located on the Sun Deck. 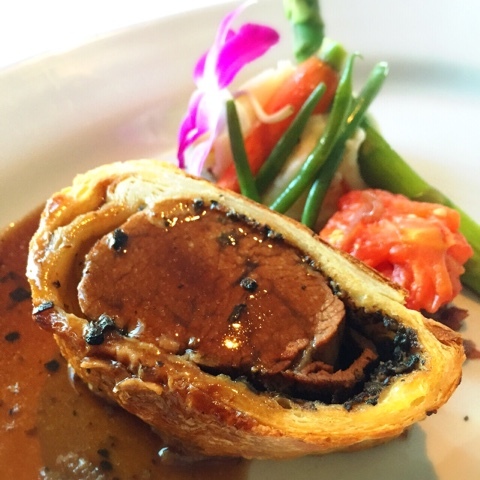 Can we take a moment to appreciate their famous dish, the Beef Wellington (pictured above)? I don't even consider other items when I'm here. The service, atmosphere, view (ask for a window seat!) and the food are perfection. After dinner, we headed straight to the Observation Bar. It's a 1930's vibe, classy cocktail lounge with delicious drinks. My favorite of the night was the Pimm's cup; they're open until 1:30AM on weekends so it's the perfect place to socialize and enjoy some live music. 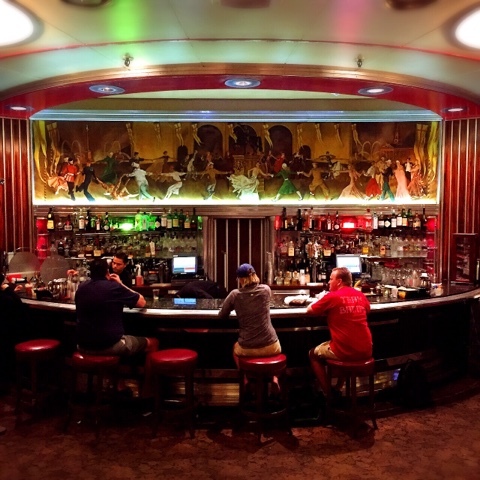 I love how this bar transforms you back to when the Queen Mary was active; the atmosphere and music really made me want to time travel back to those days! 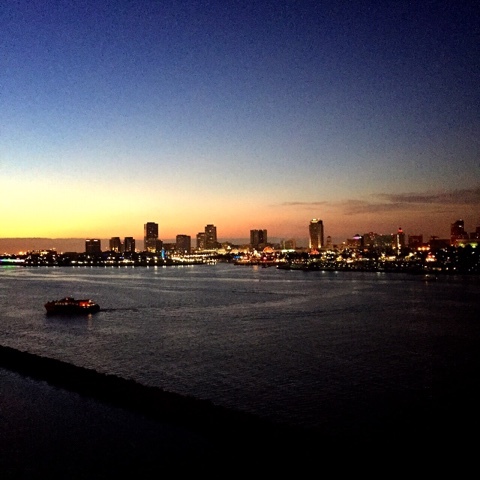 Not to mention the stunning view of downtown Long Beach across the water. 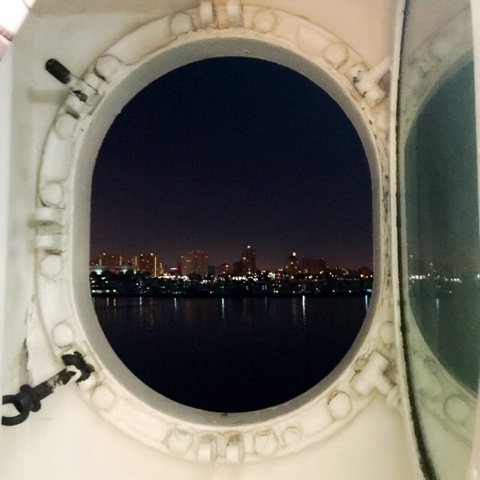 One of my favorite things about The Queen Mary is that it's supposedly haunted. 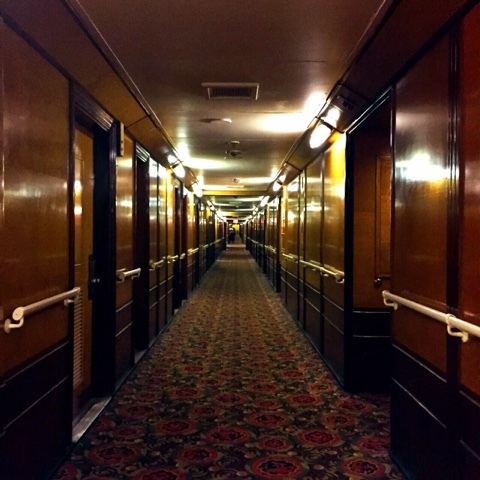 They have haunted tours and certain areas of the ship have signs posted of past ghost sightings. At night when it gets quiet on the ship, it really is quite eerie. 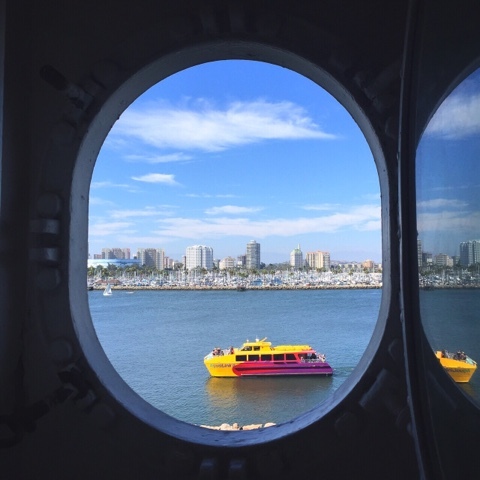 Can you tell I thoroughly enjoyed the window from our Stateroom Suite? 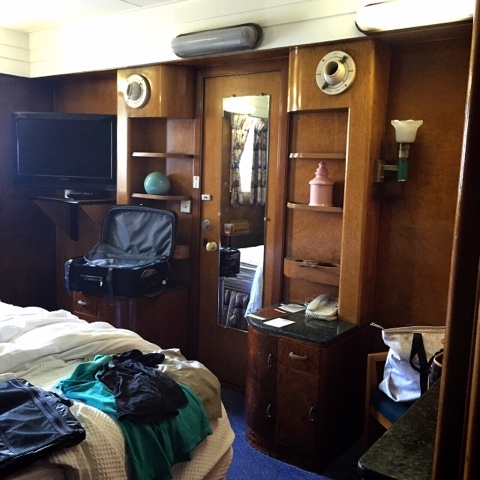 Excuse the messy bed but I wanted to show you what our fun Stateroom Suite looked like. They truly kept most of the original furnishings; from the desks to the closets, the bathtub to the steward/stewardess call button! They warn you several times about how easily sound travels through the ship due to the engines not running and boy, are they right! The guest in the room next door to us sneezed and we thought someone was in our room sneezing! 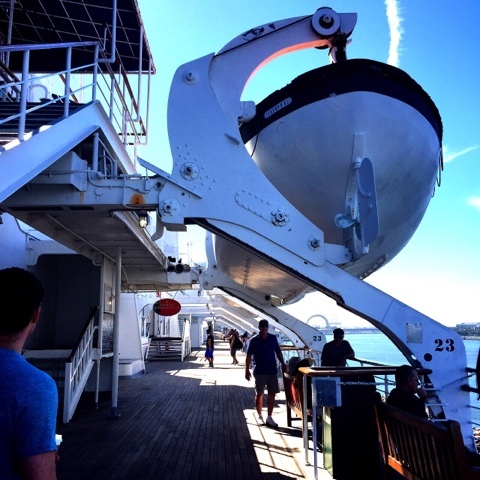 I was fascinated with what I learned about the ship! 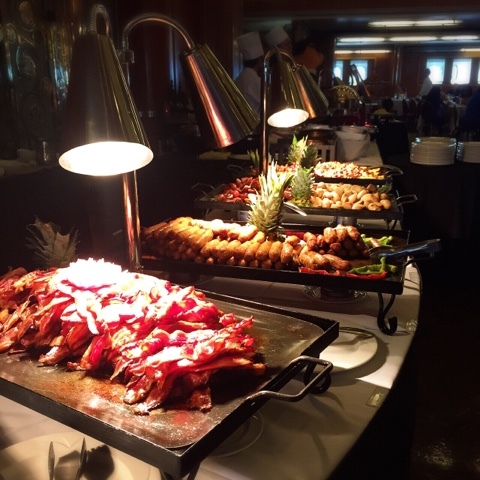 Every Sunday, The Queen Mary opens the Champagne Sunday Brunch in their ballroom. The assortment of international cuisine is endless. Speaking of endless, so are the mimosas! It's very dangerous when you have no self control at buffets like me! 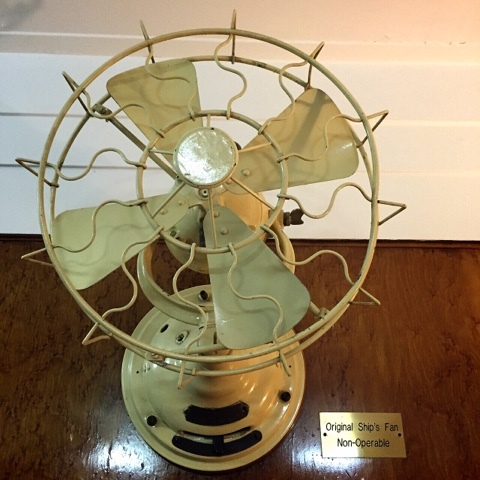 The fresh seafood, made-to-order omelets or crepes, prime rib, desserts, oh my! 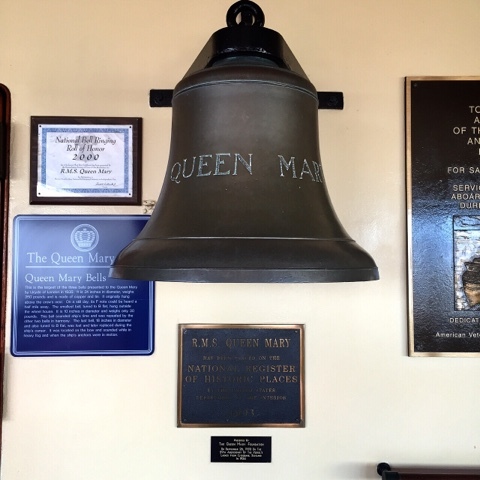 If you couldn't tell by now, I had a blast staying aboard the beautiful and majestic Queen Mary. 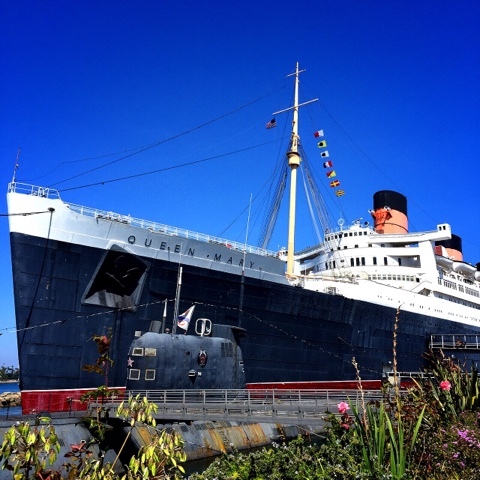 I'm so thankful the city of Long Beach purchased the Queen Mary and preserving it as well as they are. I would definitely stay again or at least visit for a tour and can assure you I'll return for some delicious eats! Linking up for the first time today with Monday Escapes! Thank you for stopping by! Yes, if you're ever out here you'll have to give it a try - they have a handful of haunted tours and during Halloween, their Dark Harbor haunted maze! Eep! 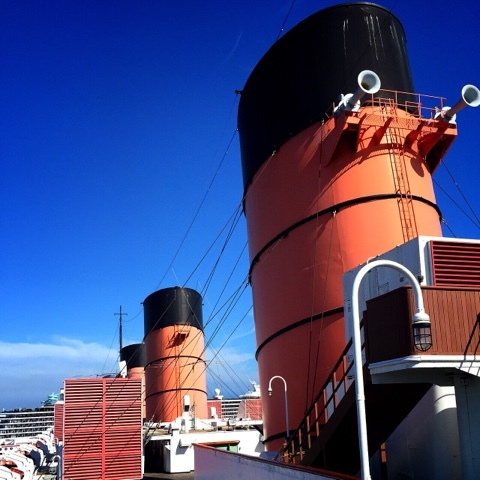 I haven't been to the Queen Mary in a long time. Last time I visited was like 4 years ago for the Scottish Festival. I haven't tried the restaurants either. Maybe it is time to stop by. 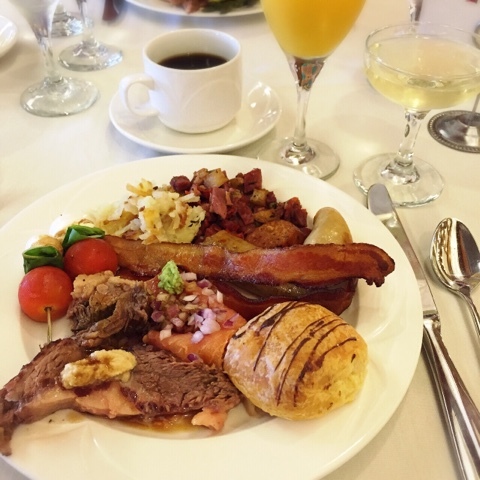 I love doing brunch on the Queen Mary when I'm in the area. Such a fun experience! 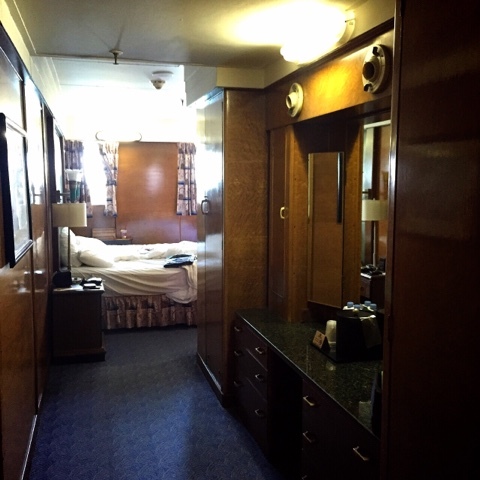 How often do you get to eat on such a historic oceanliner?